□ 500 ml ultra-large digestion vessel meets the special requirements for the digestion of samples of up to 10 grams. □ Sineo’s patented safety bolt design eliminates the need for explosion-proof membranes and other costly consumables. □ The Aerospace composite fiber outer vessel ensures the highest level of vessel security. □ Large 65L stainless steal chamber and dual magnetron structure, is designed for high energy and uniform microwave field. □ With over 20 years of experience in the industry Sineo is known asa innovation leader with numerous patents. Our Latest microwave system (The MDS-15)is the culmination of over 20 years of refinement. The MDS-15 is a high-throughput, multi-functional closed microwave sample preparation workstation with the latest technology and a lifetime warranty on the core component. 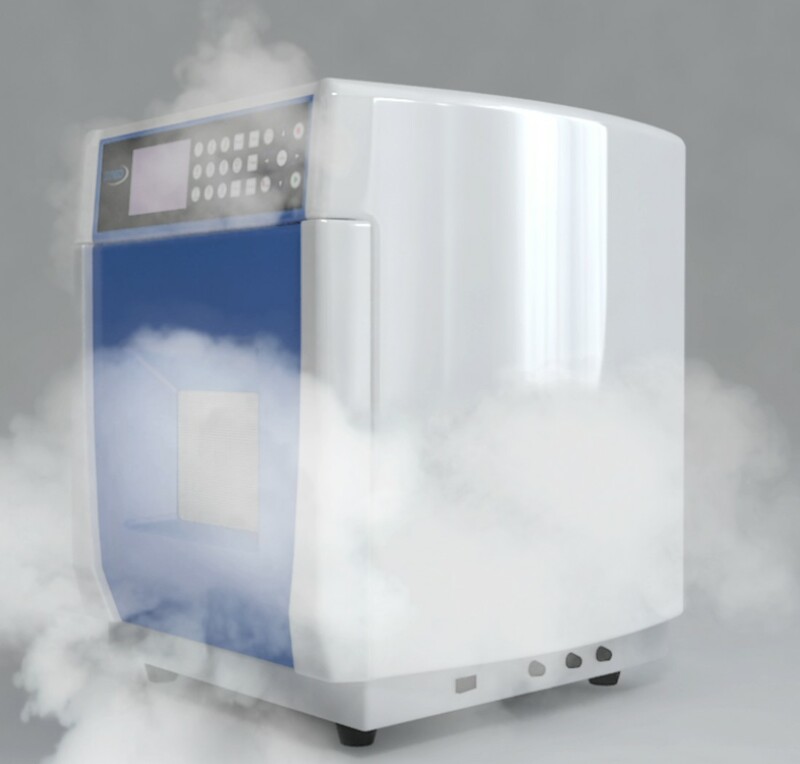 Versatility: The MDS-15 is a versatile microwave which can handle the routine work, and more complicated and demanding samples in your prep rack with a wide variety of vessels to choose from. Safety is priority number one! At Sineo we put safety at the top priority, which is why we have painstakingly designed every aspect of our microwave system with the highest level of security measures, such as the use of aerospace composite fiber vessel sleeves, and our patented Safety Bolt. Efficient by design: MDS-15 applies high-energy uniform microwave field, it delivers a rapid digestion with a quick 20 minute cool down time. Sineo has incorporated the latest technology of material design while engineering a very safe, durable and easy to use microwave. 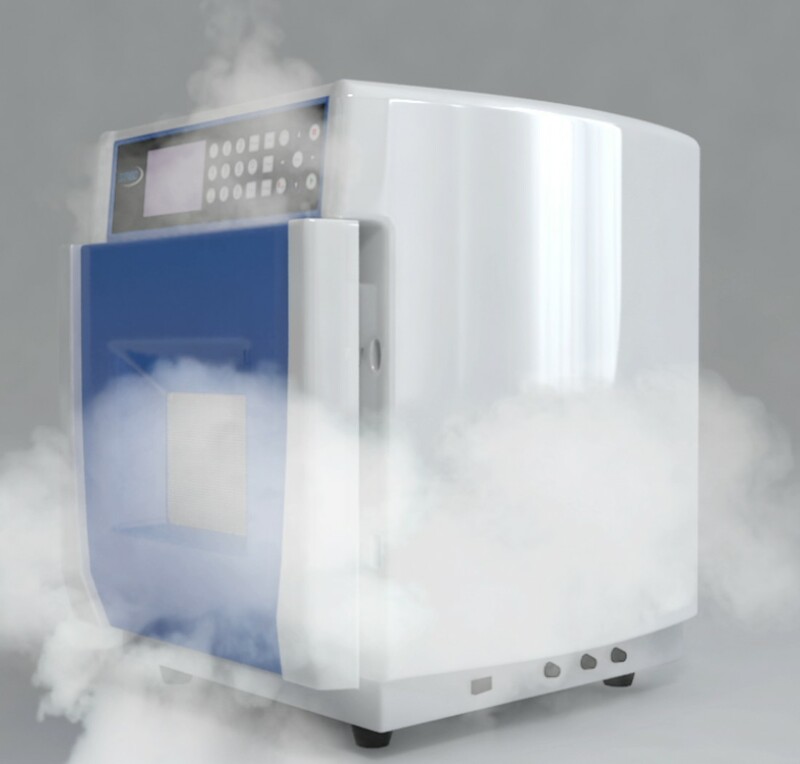 With 16 high-throughput GP-100 digestion vessel set, MDS-15can work for long time digestion at ultra high temperature. It meets the requirements for most of the digestion tasks; the new 8 QZ-100 quartz closed vessel set dramatically improves the digestion capability and visibility, even the most demanding materials could be successfully digested. With remote Wi-Fi video monitoring system for quartz vessel, the whole process canbe observed, pictures and videos are available duringthe entire process. 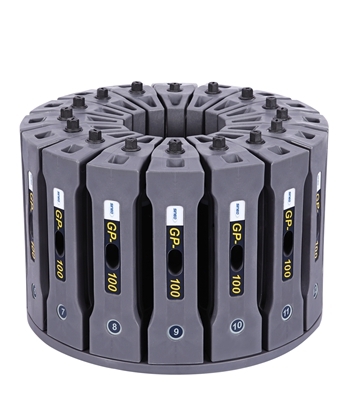 LV-500 digestion vessel carousel enables eight 500ml ultra large vessels to digest simultaneously, upgrading the sample amount to an unparalleled level of 10 gram. With magnetic stirring feature, sample digestion could be done more quickly and thoroughly. Innovative Safety Bolt design ensures the combination of vertical & quantitative pressure relief and complete digestion. The digestion tasks of high sample amount thus could be accomplished. The F-DRY drying rotor supports rapid and uniform microwave drying, the sample drying time is only a quarter that of traditional method, it can also prevent sample contamination and carbonation. There’s no need of any modification to the main machine to complete the drying task. Sineo’s application engineers have developed the application methods for microwave extraction, microwave Kjeldahl nitrogen determination, etc. Our technical support is at your service all the time. The outer vessel of MDS-15 exclusively made by ultra strength aerospace composite fiber is invincible in anti-explosion, and its performance indicators such as corrosion resistance, high temperature/impact/pressure resistance are far better than that of the widely used modified PEEK engineering plastics vessel (this material is fusible at high temperature,fragile at high pressure and explosive by chemical corrosion)，fundamentally eliminating safety risks to operator in use. Quantified safety bolt design, ensuressamples be closed completely and triggers a quantified pressure relief whileover pressure; Safety Bolt unit, instead of safety membrane and other consumables,ensure the digestion vessel be sealed completely under normal working conditions, which avoids the loss of volatile elements and incomplete digestion. And only when the pressure is too high and may constitute a danger to thesafety, the safety bolt will automatically blow out vertically and the coverauto-up to release the pressure, achieving quantified vertical blast pressure-relief to guarantee its well operation. Under normal operation, thesafety bolt requires no replacement. In addition, it is easy for venting toopen the cover after completion of digestion. The industrial-leading pressure measuring technology by piezoelectric crystal and high-precision Pt sensor temperature measurement, through closed-loop control of microwave power by inverter technique, ensure the accuracy of pressure and temperature monitoring andcontrol. The application of patented piezoelectric crystal brings complete isolation of samples from pressure measurement system in digestion process,thoroughly solving the problems of cross contamination of samples due to commonly used air pipe in market and of the limitation in digestion samples because of low-pressure proof of air pipe. The whole set of digestion vessels was designed to rotate continuously in one direction, it breaks conventions of<360° back and forth rotation, avoiding uneven heating on vessels and reducing impact on turntable motor to extend service life. The temperature andpressure cables are short, that they are free from twisting in running and canbe disassembled easily. The new industrial design is smart andcolorful, that in line with the needs of modern laboratory construction needs.It re-layout its internal structure more scientifically, with the 65L industrial 316L stainless steal reactor chamber and dual magnetron structure, ensures uniform heating of the microwave and high microwave power emitting. 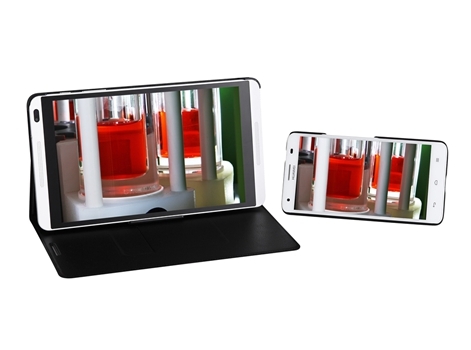 Innovative remote wireless video monitoring system, together with the high-intensity transparent quartz vessel, makes the digestion process clearly visible. Mobile phones and tablets can realize the observation and monitoring of the reaction, making the operation safer and more convenient. Sturdy and durable industrial-grade chamber design strengthen its impact resistance, and multi-layer chemical resistant coating greatly improves the service life and safety of the system; the pop up cushioning explosion-proof sliding chamber door (Auto-Pop structure) builds apassive safety protection system, and it can disable the microwave power automatically once explosion happens; efficient exhaust system design achieves fast and safe forcedair cooling (20 min cooling time from 200℃to 60℃), improving operational efficiency. 16 high-throughput GP-100 digestion vessel set adopts thelatest technologies and high-end materials, it is capable of long time digestion work under high temperature and pressure, which can meet the needs of vast majority of digestion tasks. 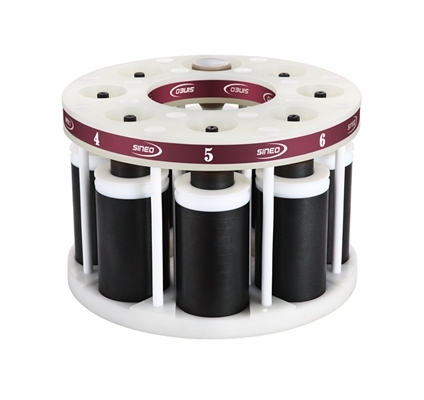 It is especially suitable for the test house or labs handling with various sample types and large capacity. 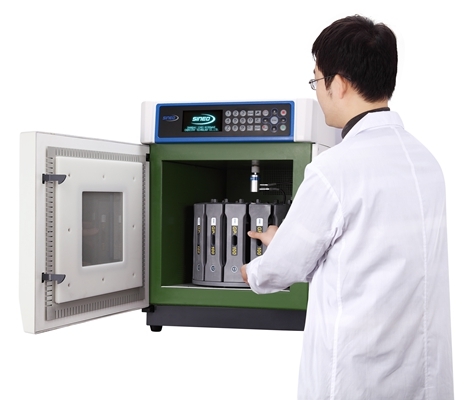 GP-100 is also suitable for the applications of solvent extraction, microwave Kieldahl nitrogen determination and microwave hydro-thermal synthesis, etc. Outer vessel material: Ultrastrength aerospace composite fiber, high temperature and pressure resistance reach 600℃ and 66 Mpa (10000psi). 8 QZ-100 quartz digestion vessel set is developed by Sineo according to market demand and the latest technology in the industry. It isable to work at even tougher condition than GP-100, under higher temperature and pressure, even the most demanding material can be successfully digested. Atthe same time, the remote video monitoring system provided can carry outreal-time monitor of the reaction process inside the vessel. Mobile phone ortablet with monitoring App will help the operator to follow up the digestion reaction and enjoy a safer operation. 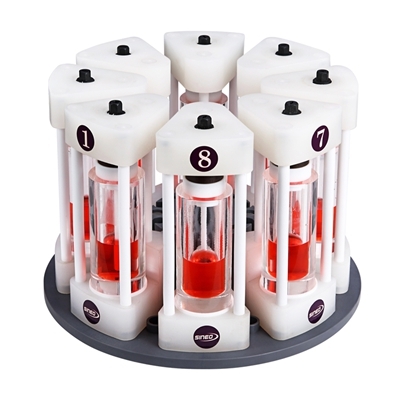 LV-500 digestion vessel carousel provides 8 ultra-large vessels with 500ml in volume, the sample amount can be increased to unparalleled 10gram grade. For testing of trace element, there is no need to collect samplesfor many times. 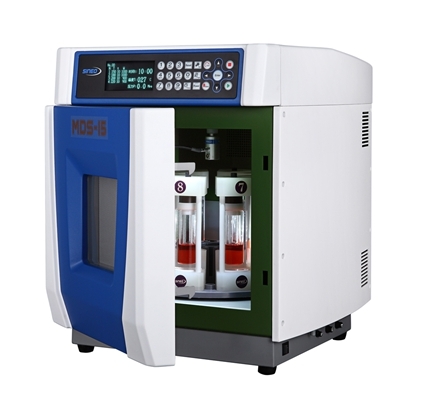 It improves efficiency and at the same time avoids the operation error, thus the needs for high sample amount digestion can be achieved. At the same time, the full vessel magnetic stirring helps the sample to digest quickly and thoroughly. The aerospace fiber outer vessel, high-strength vessel frame and Safety Bolt design, ensurethe safe, vertical and quantitative pressure relief as well as the thoroughdigestion. Outer vessel material: Ultra strength aerospace composite fiber, high temperature and pressure resistance reach 600℃ and 66 Mpa(10000psi). F-DRY microwave drying rotor realized rapid and uniformdrying, it takes the moisture off sample through microwave heating and vortexair. The sample drying time is only a quarter of that required by conventionalheating. 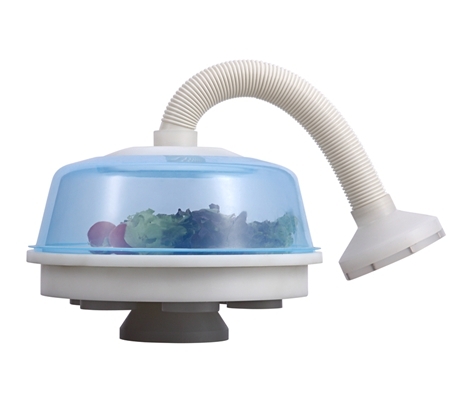 The special design of the air inlet and outlet can prevent sample from contamination and loss, at the same time, there is no carbonized risks of thesample by microwave heating. The heating task can be completed without any modification of the main machine. 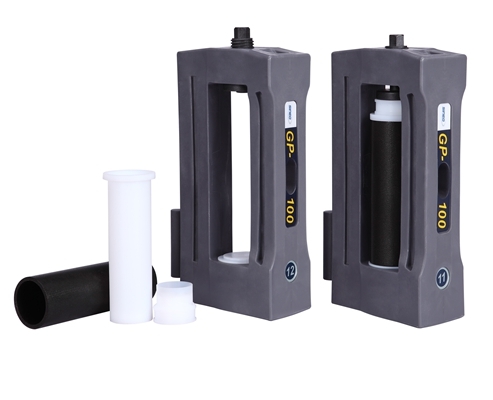 It meets the standard for special sample testing like soil. Food, soil, metal, alloy, cosmetic, plant, etc. Fat, oil, plastic, coal, etc. Biological samples, environmental samples, etc. High-precision platinum resistor temperature sensor, temperature range :0-300°C, accuracy ±1℃; IR temperature sensor as optional, temperature range :0-300°C, accuracy ±1℃. Explosion-proof outer vessel made of aerospace composite fiber. high temperature and pressure resistance reach 600℃and 66 Mpa(10000psi).